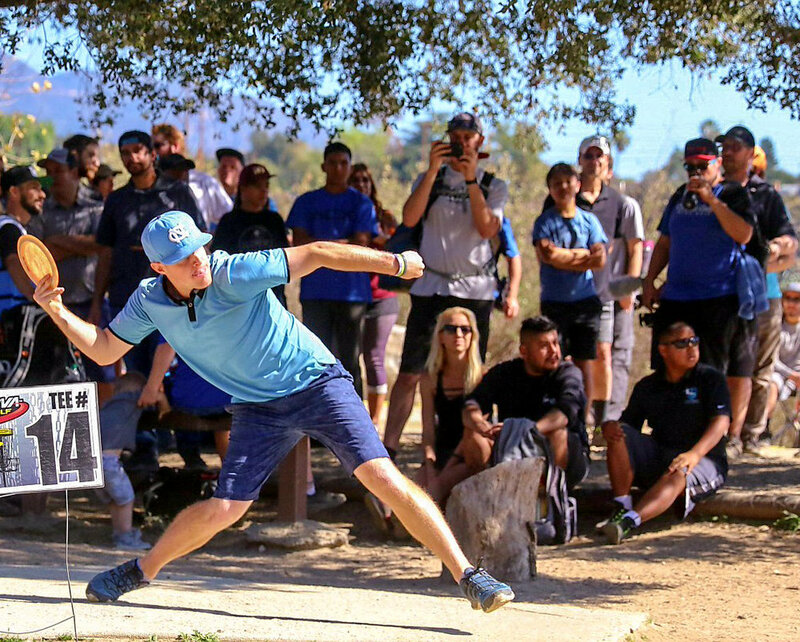 Lance Brown’s first career A-Tier win came in the star-studded 40th Annual Wintertime Open in Altadena Calif. Brown started the final round with a two-strike deficit to Eagle McMahon and held off a surging Paul McBeth to earn a one-stroke win with a 27-under par 159. Brown averaged 1040-rated golf over the weekend, including a 1065-rated second round that matched McMahon for the hot round. Cale Leiviska was also out west making his final preparations to kick off the PDGA National Tour at the Las Vegas Challenge this week. Leiviska earned his 100th career PDGA win in a dominant, wire-to-wire win at the Fade Station Open in Albuquerque, N.M., posting a 34-under par 164. Leiviska won by a 21-stroke margin, setting the pace with a 1052-rated opening round to take an eight-stroke lead. Maria Diaz shot a 33-over par 231 to win Open Women while 10-year-old Junior IV World Champion Kolby Sanchez won the Junior Division by 56 throws, shooting a 7-over par 205. Chris Dickerson continued his winning ways at the Hilton Head Invitational in Hilton Head, S.C. Dickerson erased a one-stroke deficit in the final round to finish with a 33-under par 156 for his eighth straight win dating back to the 2017 season. Matt Versola added a top-5 finish with his 22-under par 167. Prodigy Disc Europe’s Tapani Aulu took home the Ethiopian Open crown, winning the first-ever PDGA sanctioned event in Africa. The Finnish player was the only participant whose rounds topped the 1000-rated mark. Aulu scored a 21-under par 87 to win by 12 throws. Tapani Aulu won the first ever PDGA sanctioned event in Africa.